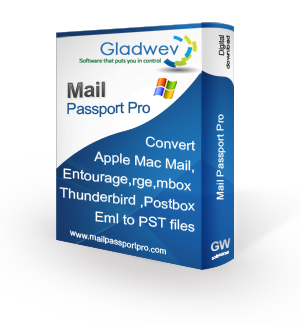 Mail Passport Pro – Convert Apple Mail, Outlook:mac 2011/2016 (OLM), Entourage Archive 2004/2008, Thunderbird, Postbox, MBOX, EML to PST for Microsoft Outlook. Mail Passport Lite – Convert MBOX to PST and EML to PST file format for Microsoft Outlook. 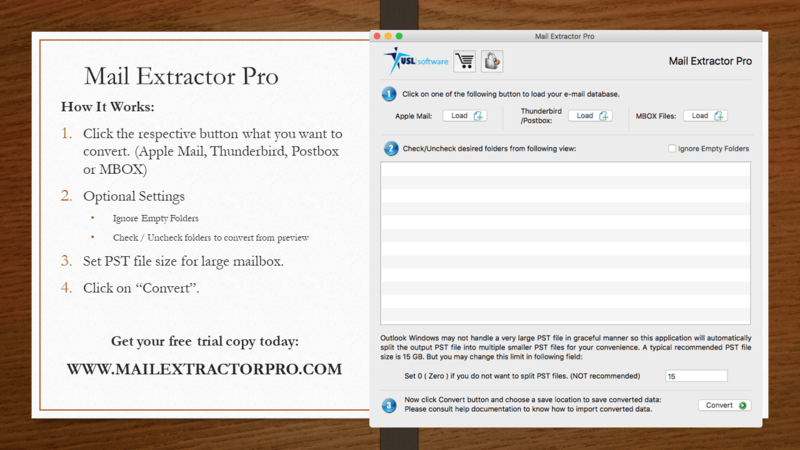 Apple Mail to PST Converter Pro – Convert Apple Mail Database, MBOX file to PST file format for Microsoft Outlook. Thunderbird to PST Converter Pro – Convert Thunderbird Mail Database ( SBD Directory) to PST file format for Microsoft Outlook.